Despite the fact that he has seen very few episodes, Carl loves Lambie from DocMcstuffins. I think that I am actually more into the show than he is (I think it's adorable!) My Mom bought him a Doc McStuffins Flap book and he is obsessed with finding the characters. 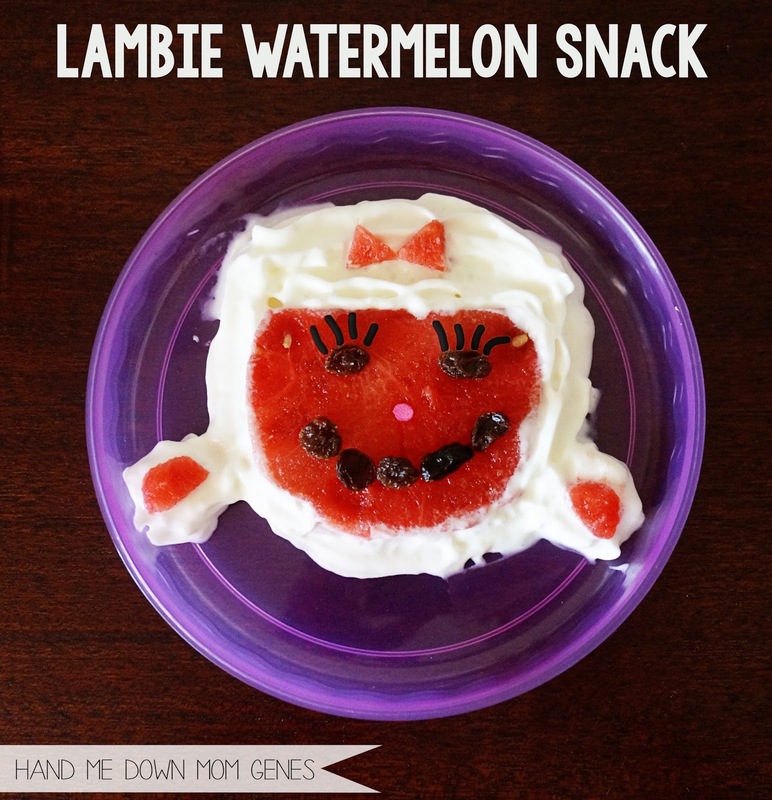 His favorites are Lambie and Hallie so I was excited to make this snack for him. She was harder to make than I realized but definitely easier than Hallie would be. When it came to making Lambie, I found that I needed very few ingredients. 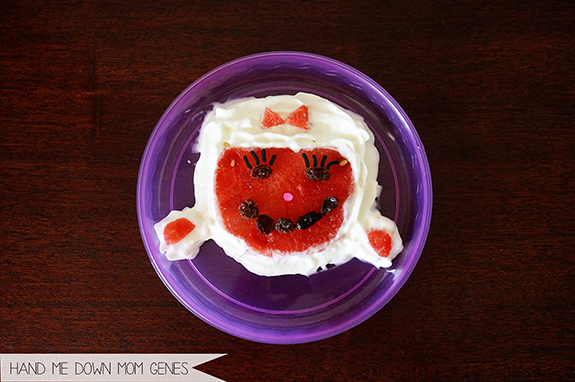 Sprinkles have become a staple in my kid food creations. They are the perfect for small details. I used black sprinkles from my Halloween pack as her eyes lashes. Unfortunately, her eyelashes came out creepy looking in pictures (I swear they looked normal in person). 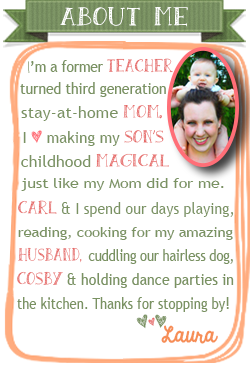 Keep reading to find out how I made her! Cut a thin slice of seedless watermelon. Place in the middle of the plate. Use raisins to make eyes and mouth. Place small black or chocolate sprinkles as eye lashes. Place 1 pink confetti sprinkle for a nose. Use whipped cream to decorate around Lambie's head, slightly covering the top of her head in a straight line (as shown above). Use the whipped cream to create 2 ears that are low on her face (as above). Cut small ovals out of the watermelon left to for the pink of Lambie's ears. Places on the whipped cream ears. Cut 2 small triangles out of watermelon. Place on top of her head on the whipped cream to create a bow.